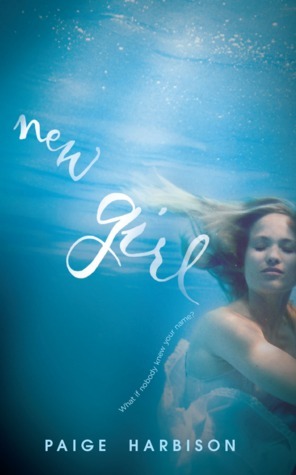 New Girl is a dark, chilling read that drags you in to the story and keeps you guessing the entire way through. What happened to Becca? I thought it was really interesting how the point of view changed every few chapters between the 'New Girl', where she told her story of moving to Manderley in first person, and then Rebecca, whose story was told in third person, but from the year prior. It created a greater contrast between the two characters and their personalities. The 'New Girl' is a much more likeable character than Rebecca (Becca), who was overly confident, manipulative and a chronic liar. Even still, both of the girls characterisations were done very well. The new girl was a strong character, who continued to stand up for herself throughout her year at Manderley, even with the constant harassment for her peers. And just a side note, it took me a little while until I realised that the 'New Girl's name had not been given. I thought this was quite interesting, actually. I wasn't a fan of the love interests. I really didn't like Max. At all. And I thought it was a shame that both Becca and 'New Girl' were involved with him. By the end, he had sort of redeemed himself. Sort of. The pacing was perfect. It didn't drag and yet it wasn't overflowing with action. It moved along nicely and kept me wanting to see what was going on. The writing kept me hooked the entire way through, anticipating the mystery of Rebecca's disappearance to finally be unveiled. I was left constantly guessing - Did she leave? Was she killed? Was she alive? Was she dead? You don't really known until the very end. I was a little disappointed with both the beginning and end of the story. Firstly, it started out with an unrealistic premise - her love for Harry Potter in the 8th grade resulted in wanting to go off to boarding school. However, this dream did not continue throughout the four years since, yet her parents fail to realise this. I was a little frustrated with the last 20 or so pages. It could have ended closer to the climax. Don't get me wrong, I loved the execution of the climax, when you finally find out what happened to Becca. It is the pages that followed that left me a little bored. 'New Girl' goes on a bit of a rant which I thought was a little unnecessary. I've been craving something dark and mysterious the past couple weeks but haven't found anything yet, but New Girl sounds promising! Is the love interest a major aspect of the story? If you read it, I would love to hear what you thought! Ahh I'm glad you liked this. I've heard a few negative or average reviews for it but if you enjoyed it I hope that I will as well (when I eventually get my hands on it...hehe).